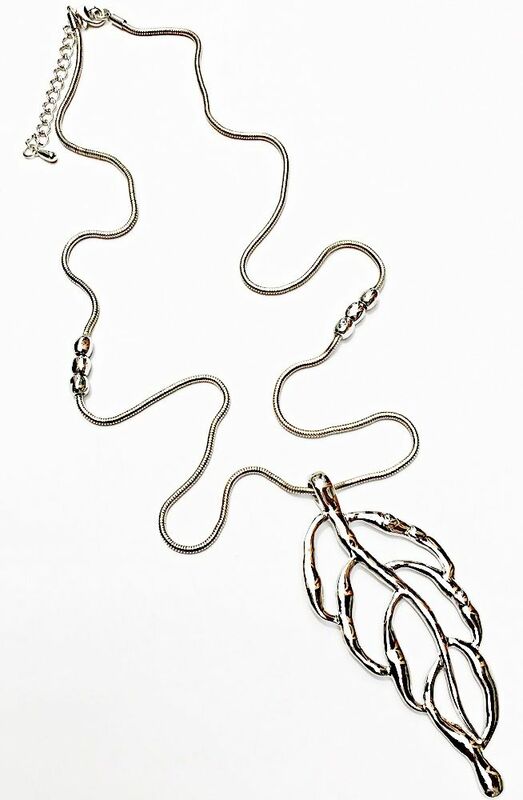 open leaf design and finished in silver. 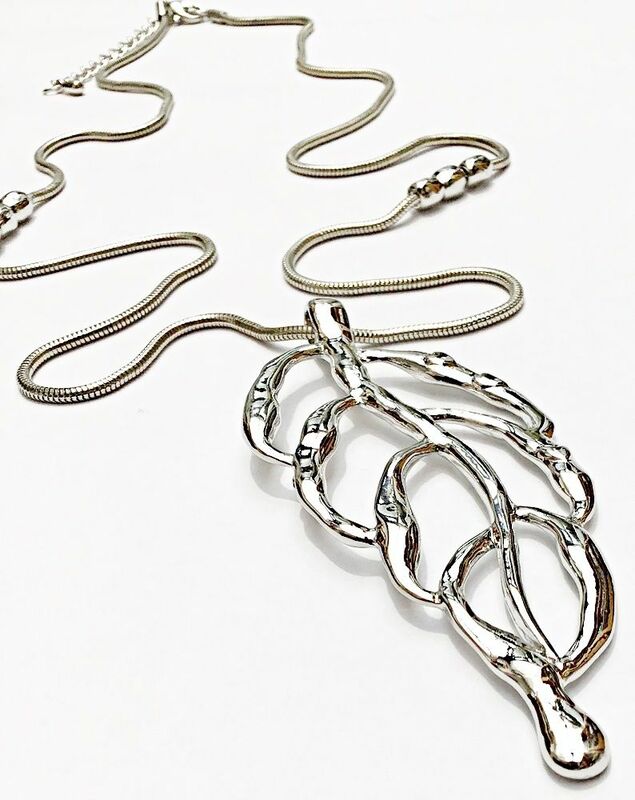 The chain length is 16" / 410 mm approx. with a 3" / 75mm extender chain. 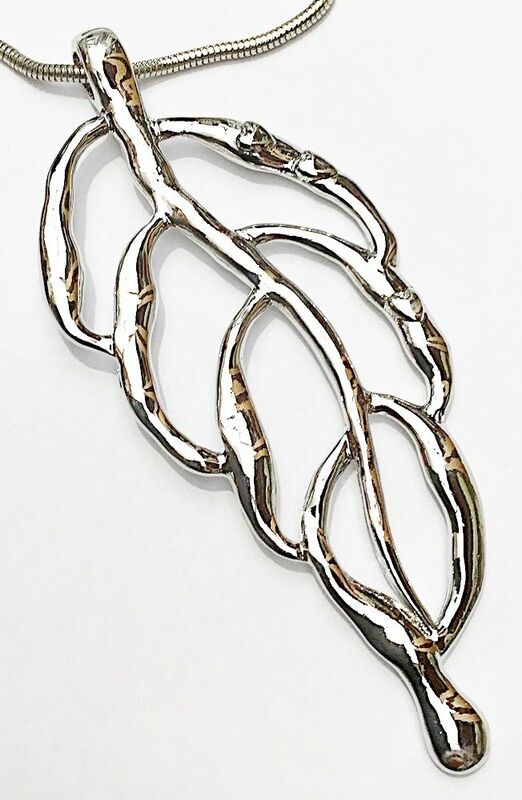 The pendant size is 4" / 100mm long approx. Silver plated ~ Nickel free.